2019 Golf Season Predictor: Our £1 million free to play golf predictor is open to play until the first major gets underway this Thursday, with the Masters kicking things off from Augusta. To win the £1 million, you must correctly predict the winner of six tournaments - The Masters, US Open, The Open, USPGA Championship, The BMW Championship, The Tour Championship - as well as the winner of the Race to Dubai and the number of shots The Masters will be won by. 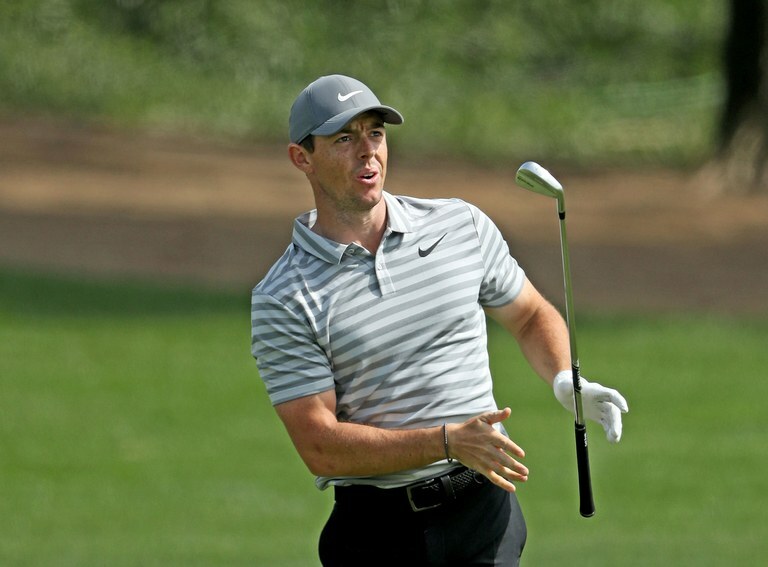 You get plenty of choice of who to pick to win each tournament, with 50 players to choose from for the Masters, including 7/1 favourite Rory McIlroy and 2018 winner Patrick Reed, who is unfancied at 50/1. Aside from picking a player to win the six big tournaments and the Race to Dubai, you need to correctly predict how many shots The Masters will be won by, which was secured by one shot last year, decided in a play-off in 2017 and won by three shots three years ago. You have until midday on Thursday to get your entries in and with nothing to lose, why not chance your arm. 2019 County Cricket Predictor: Because we’re that generous, there’s another FREE to play £1 million Jackpot game, which also closes Thursday. In partnership with our friends at Telegraph Fantasy Cricket, simply make nine predictions on the county season, and if you get all nine correct, you’ll walk away a millionaire. There’s also £100 in added prizes to play for so even if you don’t get your hands on £1million, you could still win some decent cash prizes. To win first prize, you’ll have to out score the rest, with a point on offer for every correct answer, multiplied by the figure in brackets - the multiplier. For example, if you choose favourites and current holders Surrey to win the County Championship Division One and they do, you’ll score a point but if Yorkshire came through at x3, that’d be three points added to your overall tally. Your Banker option also scores double points. The questions include who you think will win Division One and Two of the County Championship, as well as picking a team to lift both the Royal London One Day Cup and the T20 Blast. The next four questions involves picking a player to score the most points in the Telegraph Fantasy cricket game in four categories. This includes picking the best Batsman, Bowler, All Rounder and Wicket-Keeper, which is determined by the amount of points they score in the Fantasy cricket game. We’ve given you a list of the best 10 rated players in each category, minus the England international players who will be unavailable for the majority of the season. Points are awarded based on each player’s batting, bowling and fielding performances across the County Championship and the One Day Cup in the 2019 season. Whichever cricketer scores the most points in the season, will be the top rated player in our pool. Last up is a nearest the wins question, where you need to get how many runs the team batting second will score in the T20 Blast final exactly right in order to be in with a shout of the £1 million. For some quick pointers, 158 was the winning total last year, 190 in 2017, 155 in 2016 and 166 in 2015 so good luck with that! So there you have it, not one but two FREE shots at £1 million this week. Make sure you don’t miss out on this great opportunity and good luck, you never know!